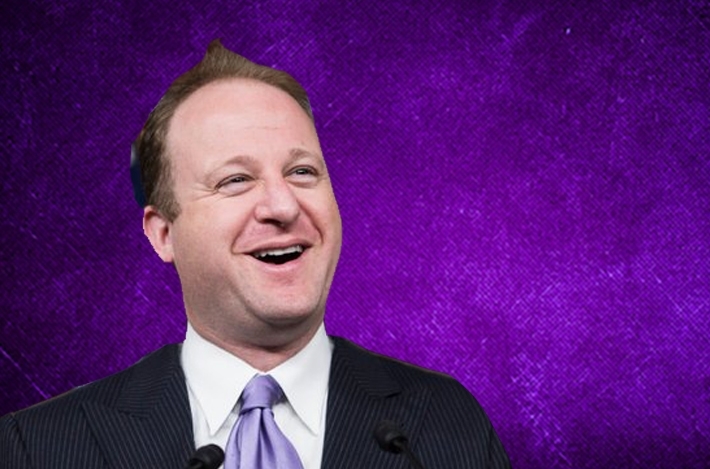 Of all the historic victories that happened during last night’s elections — including, of course, a record-breaking number of women headed to Congress — we’re going to take a moment to give a shoutout to one special guy: Jared Polis, a 43-year-old Democrat who was elected governor of Colorado. Polis and his partner Marlon Reis (who is also Jewish!) have two children: Caspian Julius, 7, and Cora Barucha, 4, who was named after Polis’ great-great-aunt Kasha Barucha. Prior to his historic win, Polis was the first openly gay parent to serve in Congress (yes!). And prior to that, he was a super-successful Internet entrepreneur, including founding online greeting card company Blue Mountain, which, as we all know, is very popular with bubbes the world over.